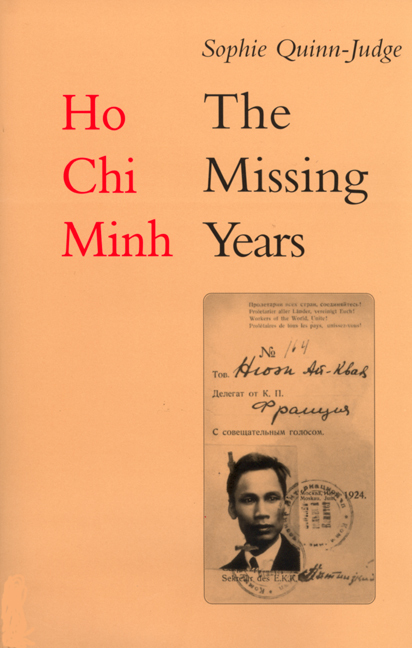 This book explores Ho's pre-power political career, from his emergence at the Paris Peace Conference in 1919 to his organization of the Viet Minh united front at the start of the Second World War. Using previously untapped sources from Comintern and French intelligence archives, Sophie Quinn-Judge examines Ho's life in the light of two interconnecting themes--the origins and institutional development of the Indochinese Communist Party, and the impact on early Vietnamese communism of political developments in China and the Soviet Union. Sophie Quinn-Judge worked in Vietnam as a volunteer from 1973 to 1975, and lived and worked in Southeast Asia from 1977 to 1986. She was a frequent contributor to the Far Eastern Economic Review, first from Bangkok and then from Moscow.